By recent standards this wasn’t a particularly busy week (lucky me! ), but it was busy enough! 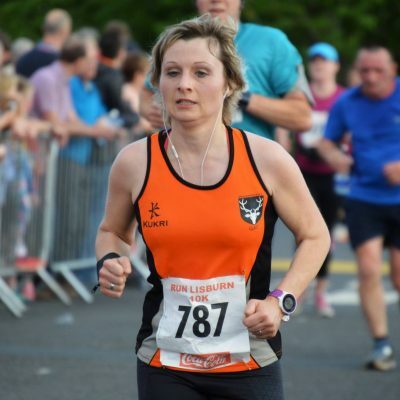 It all started on the Tuesday evening with Round 3 of the North Down Athletic Club’s Open track and field series at Bangor. Early indications are that Alan Martin’s sprinters will partake and certainly Stephen Orr (800m), Chris Downey (3000m), George Gribben (200m) and Antra Balcuna (400m) may well turn up. The action begins at 7pm at the Bangor Sportsplex on the Old Belfast Road. Wednesday evening was big, very big! 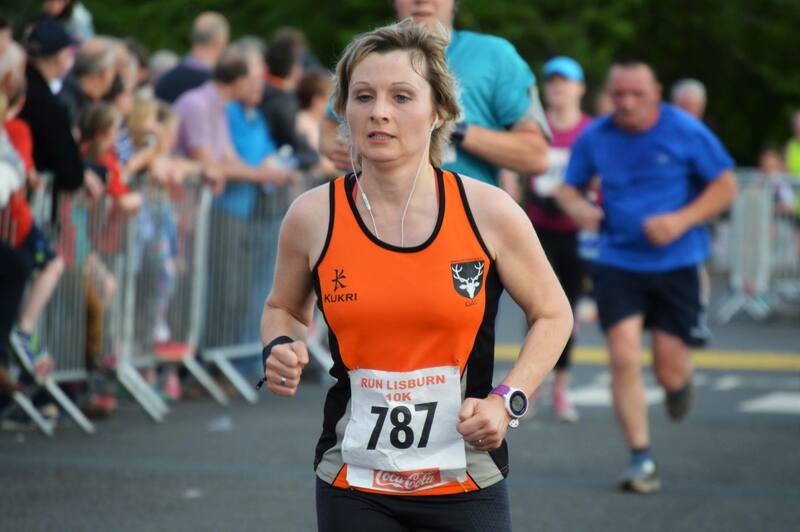 The Lisburn Half Marathon, 10k Road Race and Fun Run are favoured by many and I would expect a fairly substantial Orangegrove participation in both the Half and 10k. 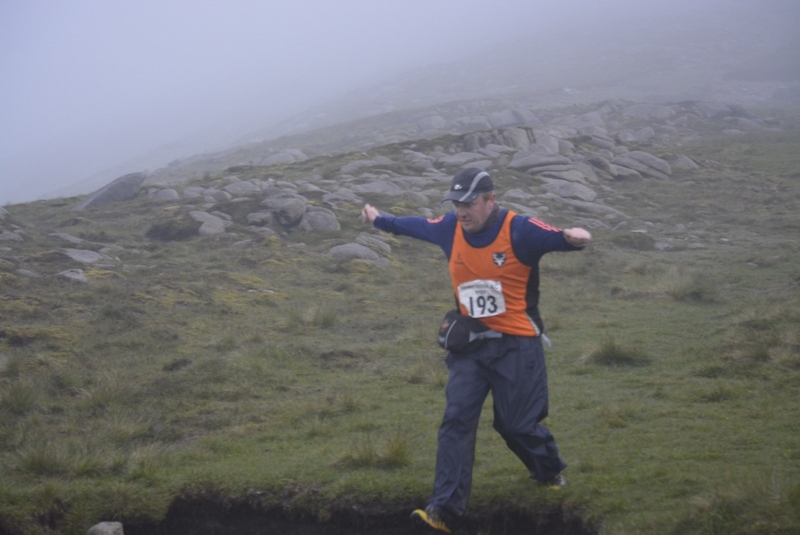 Thursday’s Hill and Dale Race is the tenth in the series and is the one known as ‘The Meels’, presumably encompassing Slieves Meelmore and Meelbeg. Meet at the Happy Valley Car Park for a 7.30pm start. 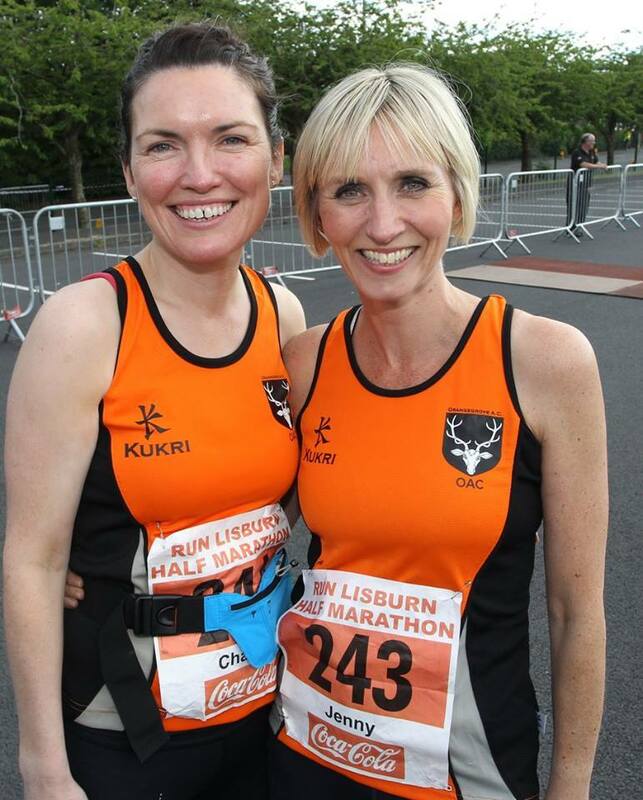 There is also unconfirmed intelligence that both Jenny Powell and Karen Russell will take part in the Hell4Leather 10k race at Moneyglass near Toomebridge on Saturday. 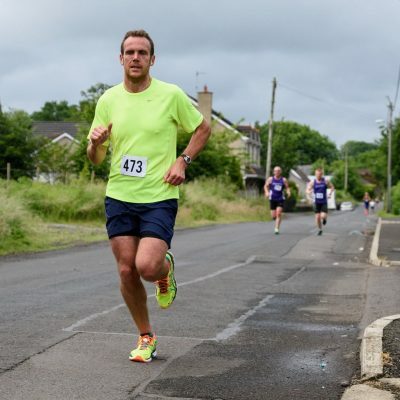 The North Down Open has male and female races at 200m, 400m, 800m and 3000m. Sometimes the genders are combined. The field events are hammer, high jump, long jump, javelin and shot. 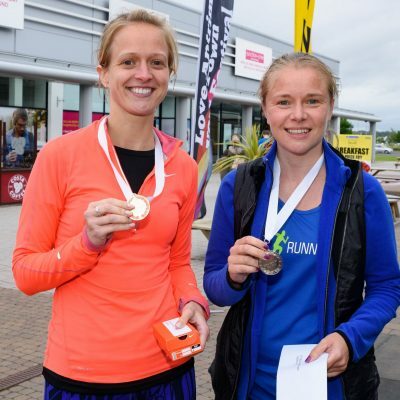 This is a very slickly run, no nonsense series of meetings which welcome athletes of all abilities. There is very little waiting around. Valerie McDonough and the host club ensure that their meetings run to schedule and that everything possible is done to facilitate the participants. It all starts at 7pm and is usually done and dusted well before 9pm. 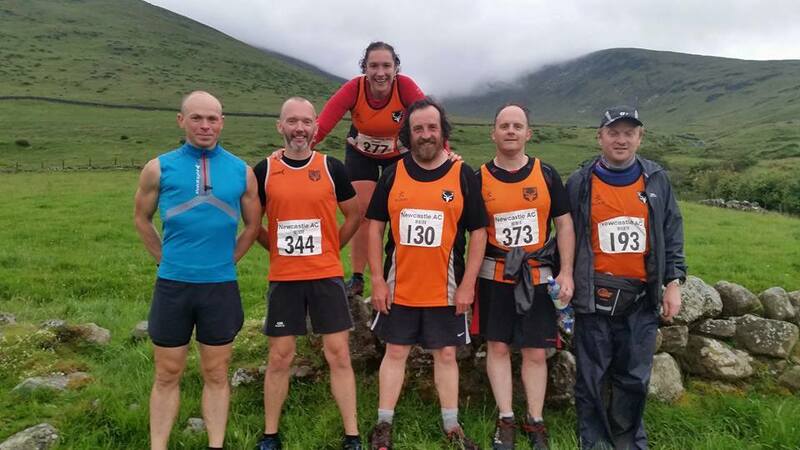 Very well done indeed to the speedy ones from the sprint group who participated and who represented Orangegrove so well. 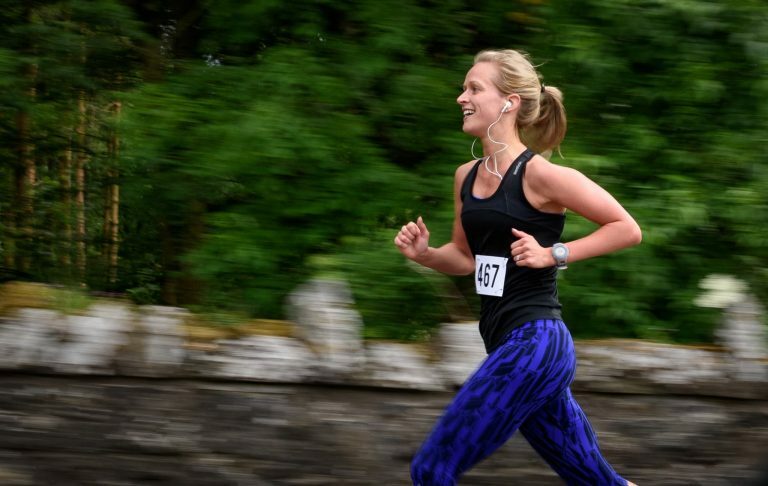 The combined Lisburn Half Marathon and 10k road race (sponsored by Coca Cola) is one of the premier events of the running year and literally thousands are entered. There is a carnival atmosphere about the town and the local inhabitants embrace the occasion not only with their enthusiasm but with their presence too along the route. 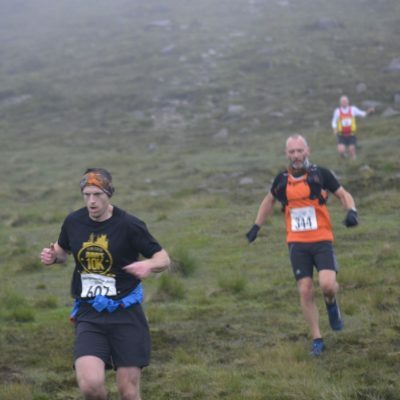 This week’s Hill and Dale race in the Mournes, courtesy of Newcastle AC, is the tenth in the series and the one known as ‘The Meels’, after Slieve Meelmore (2237 feet) and Slieve Meelbeg (2210 feet). Only in Ireland could the ‘beg’ be higher than the ‘more’! 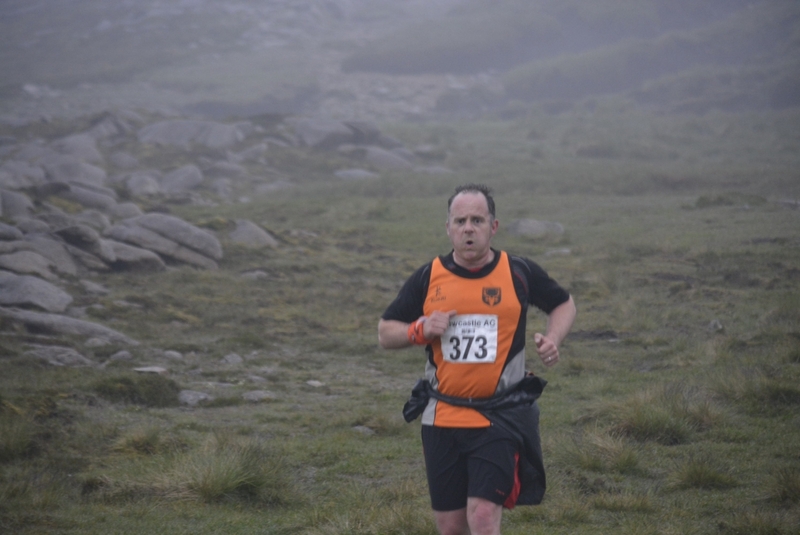 The race length is only 3.5 miles but it will involve over 1800 feet of climbing and is not for the faint hearted. Orangegrove has been a consistent supporter of the series in recent years and this year has been no exception. 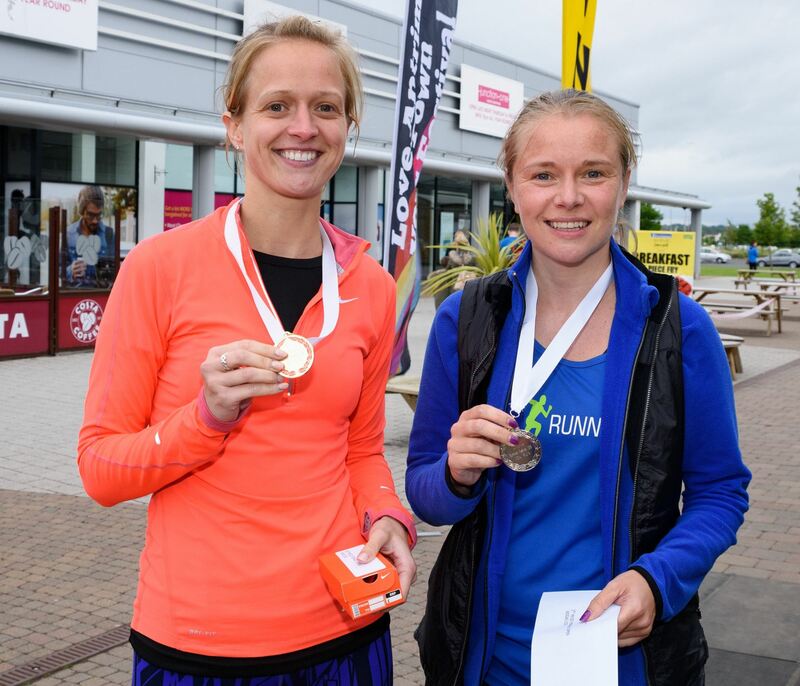 The Meels was won by Zak Hanna (Newcastle AC) in 30.44 and Shileen O’Kane (Lagan Valley AC) was first lady in 39.17. I must make the effort to get back to Hill and Dale next year. 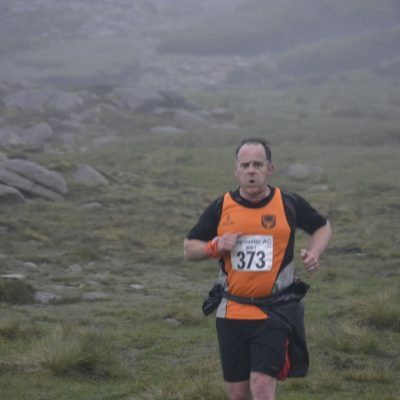 However, the thought has also struck me that at my age if I am going to die suddenly I would prefer to do so in my bed rather than on the side of Slieve Binnian! 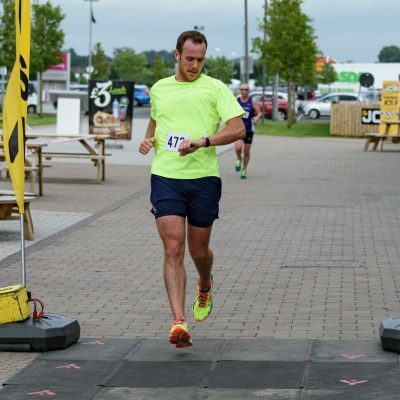 Friday evening brought the Antrim Summer Festival 10k Run on a course in and around the Junction One shopping complex. Whether the elegant Lyndsey Tyro’s real motive was to run the race or to use it as an excuse for some impromptu shopping, only she knows. 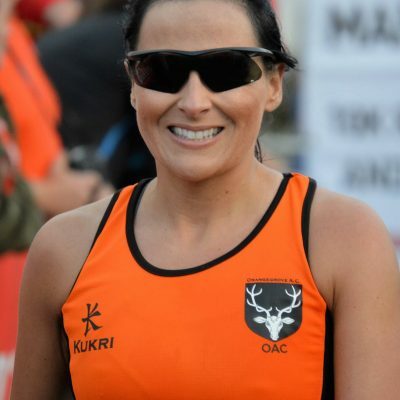 Whether she had a good night in the aisles is unknown, but she certainly had a good night out on the course finishing the race as first lady in 42.15 (7th). 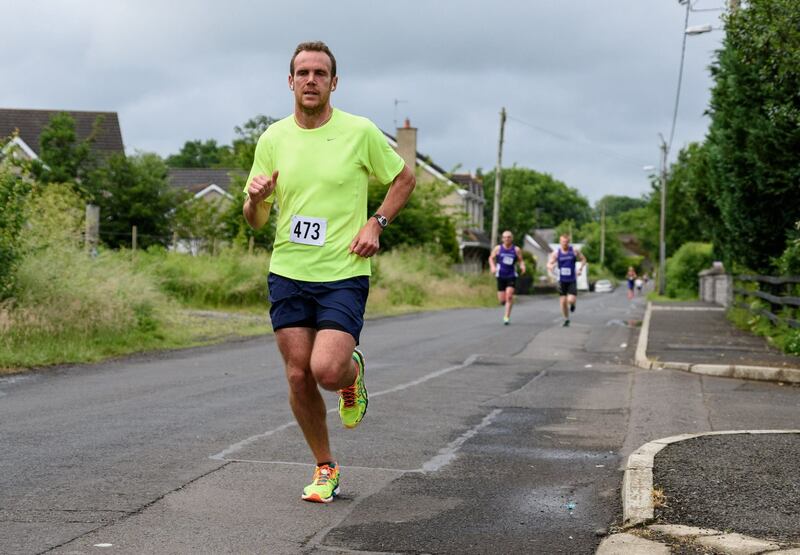 Husband Paul was also in great form scorching around the course, which took the runners close to the shores of Lough Neagh on Castle Road and Randalstown Road, in 40.30 (4th). Indeed Paul might have won the race had he not had to complete it carrying Lyndsey’s purchases. In the end it was won by Eoin Hughes in 36.51. 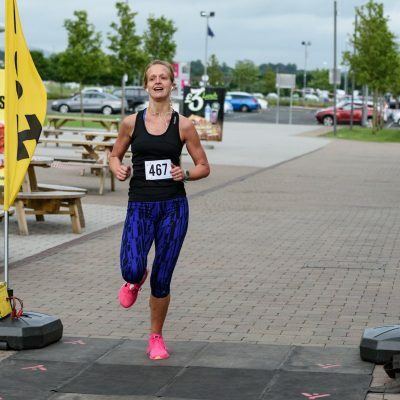 Lyndsey was last seen spending her winnings in the Adidas and Asics stores! Well done Lyndsey and Paul Tyro! Moneyglass in Co. Antrim, near Toomebridge, has a population of 103 on a normal day. 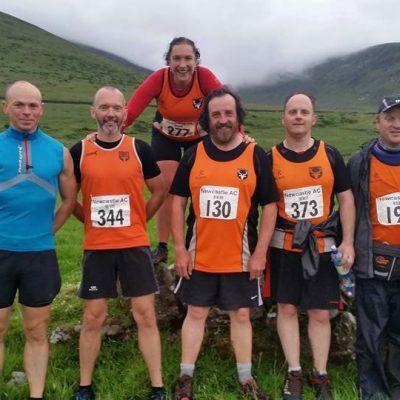 However, that figure is likely to be exceeded on Saturday 18th June when the village will run its annual Hell4Leather 10k and 5k road races in support of the local Gaelic Athletic Club. Moneyglass is not a place to be sniffed at! It has one or two notable alumni. The village has connections with Frank McCourt, writer of the Pulitzer Prize winning novel, Angela’s Ashes. It was also former home to national hunt jockey Tony McCoy and to Irish rugby great Willie John McBride. The singer Audrey Gallagher also hails from the village. Now Orangegrove’s Jenny Powell and Karen Russell can be added to that august list! The village is also home to an enormous Game of Thrones medieval set. So, definitely not a village to be trifled with! In the end it was only Jenny Powell who made it to Moneyglass and there is no doubt that her long trip was worthwhile. 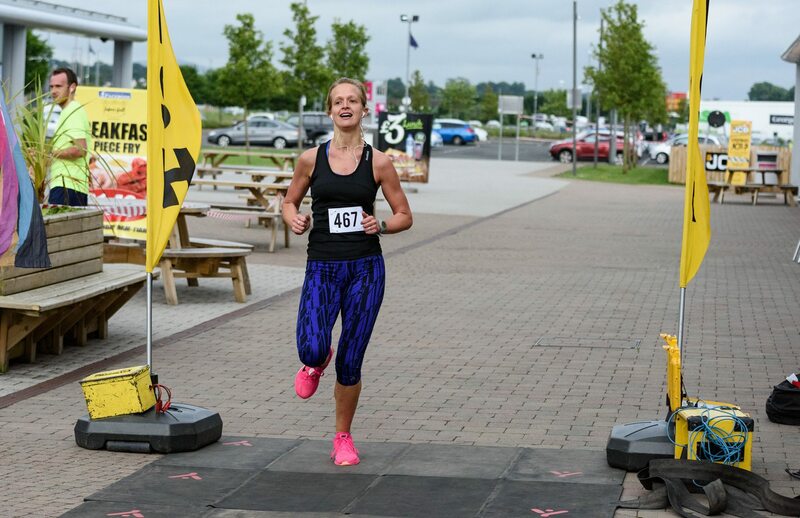 She ran hell for leather to complete the picturesque but challenging 10k course in a personal best time of 52.31. Very well done indeed Jenny Powell! The village now has a new alumna and Ms. Powell has had her glass of rioja! Gillian Logan has been at it again. 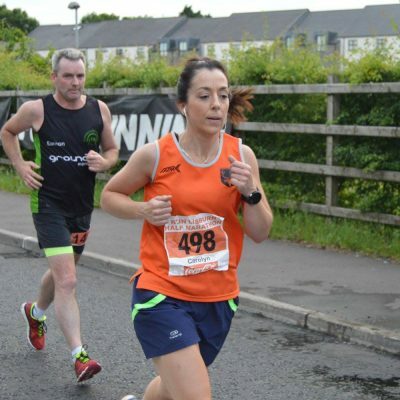 Not content with running a half marathon on Wednesday evening in Lisburn she was pounding the roads again on Saturday afternoon in the backwoods of Co. Antrim. 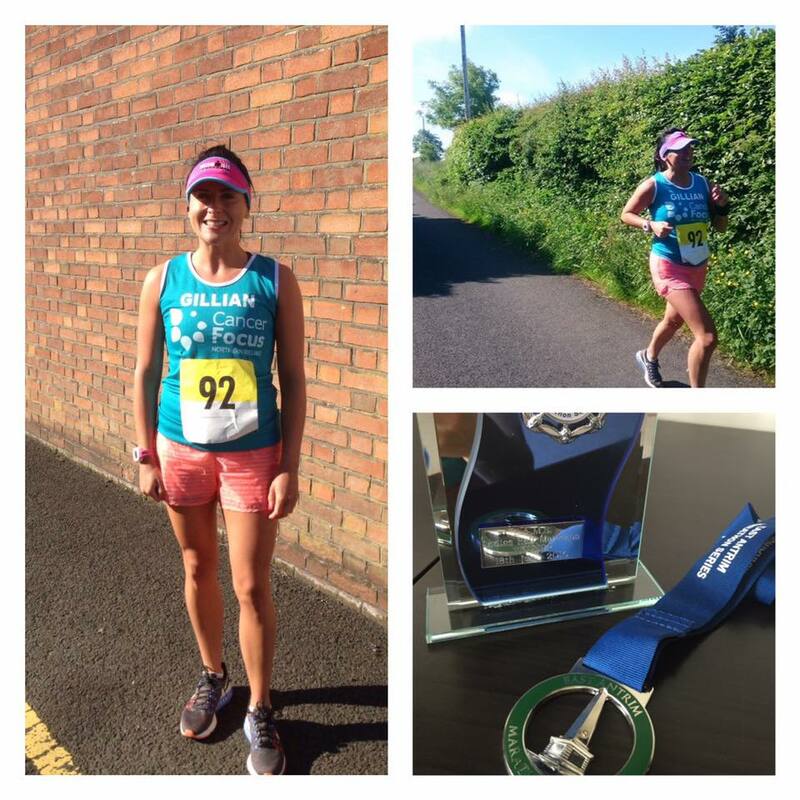 Gillian is determined to complete ten half marathons in 100 days in her worthy efforts to support the Cancer Focus NI charity. 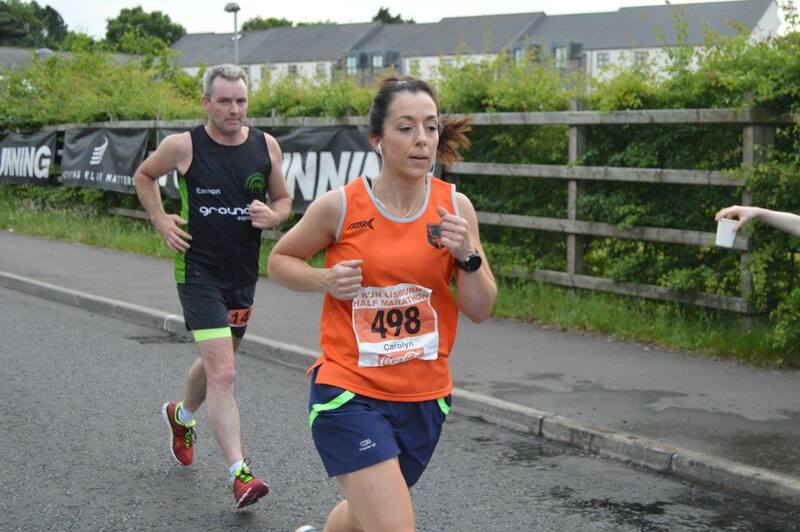 Saturday’s East Antrim Marathon Series half was half marathon number 2 of the sequence. Today’s run was not a straightforward one either. 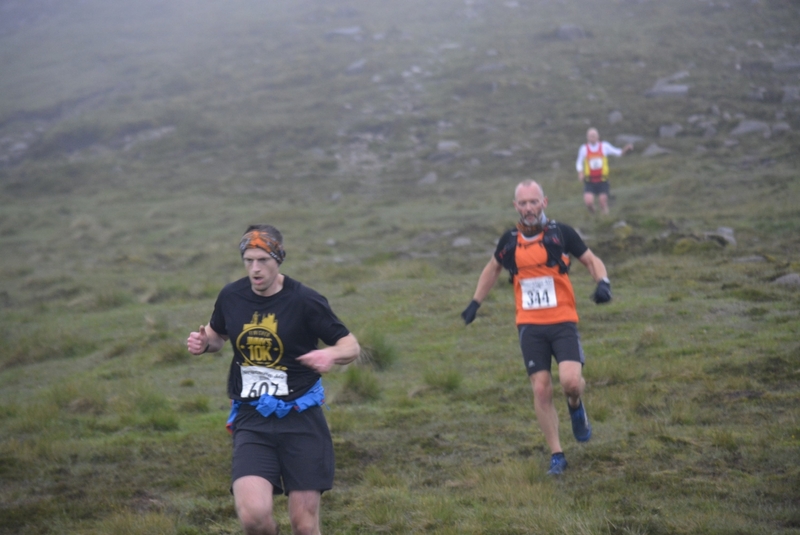 Starting near Greenisland Presbyterian Church the route took the runner on a considerable uphill journey on the picturesque but challenging roads in and around the Knockagh Monument at near enough 300m and then beyond to Woodburn. However, there was also a flatter section along the Shore Road from Greenisland Road to Glenville Road. 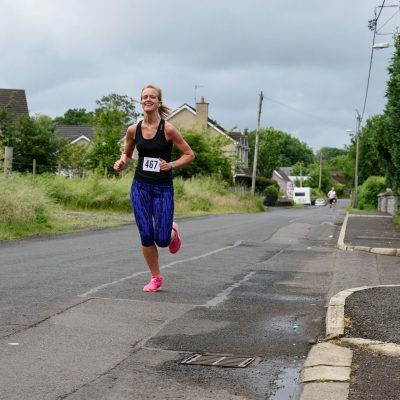 Gillian is running very well at the moment and was pleased to finish the half as first lady home in the very respectable time of 1.50.32. Well done, Gillian. Your Club is proud of you! Very well done to Michael O’Donoghue, Eoin Woodman, Jacqui Maxwell and Mark Williamson who took part in Sunday’s North Down Cycle Club’s Coastal Challenge, a 60 mile ride from Bangor to Portaferry via the east side of the Strangford peninsula and then home on the Strangford Lough side. Conditions were benign as the riders set off at 10am but deteriorated during the course of the day. I am glad to report that the four Orangegrover’s reached the end intact, if a little soggy! And just a reminder to the trail runners. 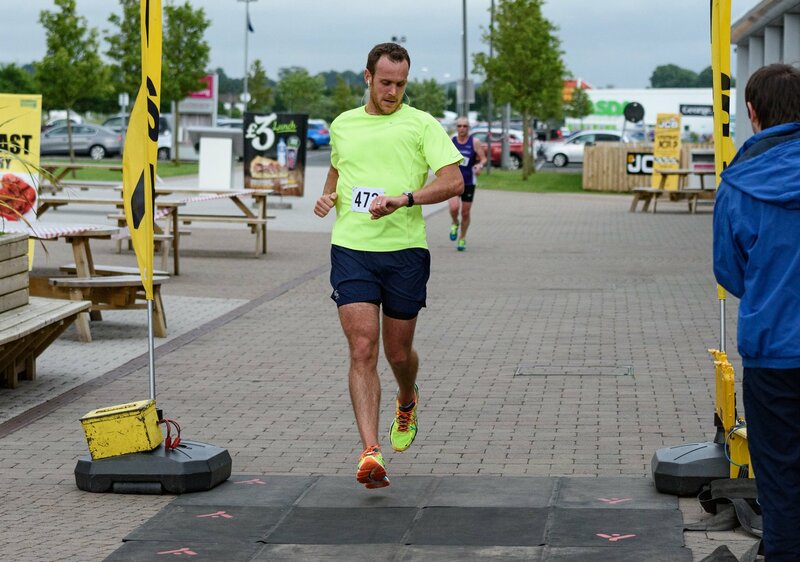 Next Tuesday evening’s scheduled East Antrim Harriers’ trail race at Woodburn, the last in the series, has been postponed until the following Tuesday (Tuesday 28th June) because of the more important business of Northern Ireland’s European Championship match against Germany. #GAWA! 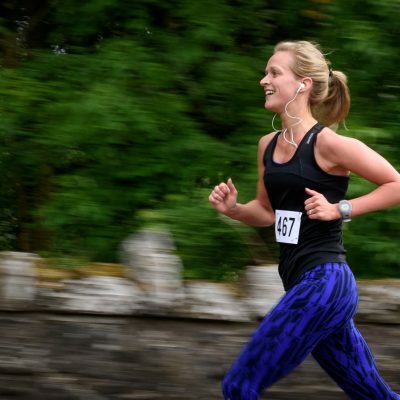 The parkrun bandwagon goes from strength to strength in Northern Ireland and, indeed, throughout the United Kingdom and beyond. At our own Victoria Park there is never a Saturday morning that we are not blessed with new faces, and old ones too who have been away for a while. This week was no exception and the mild weather brought them out in their hundreds. 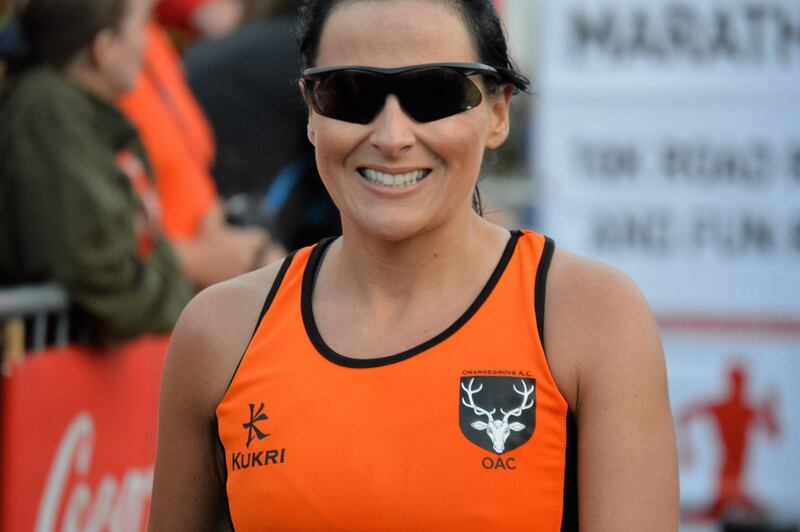 At Victoria Park the following OAC Club members deserve our recognition and applause for personal best times: Anna Rankin (24.58), Nicola Downey (26.55), Judith McCann (26.58). Anna Rankin was first OAC lady to finish (92nd) and Thomas Leitch was first OAC male to finish (11th). 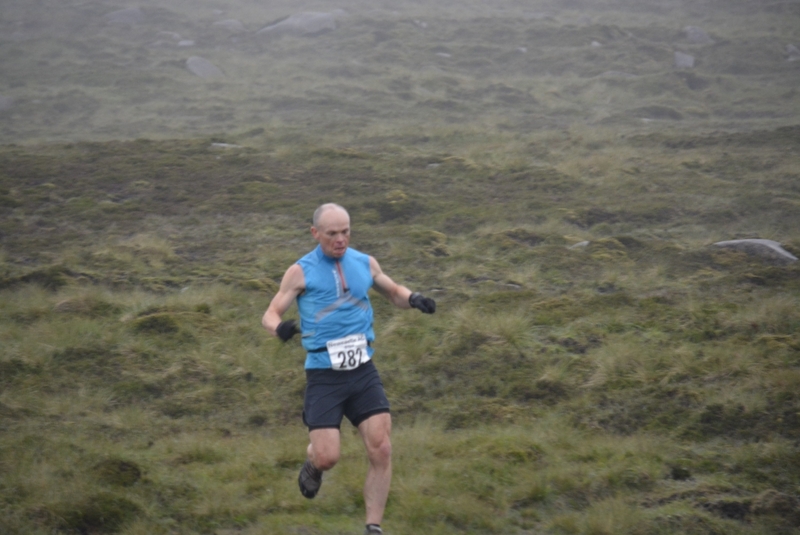 At Stormont Martin O’Brien finished in a personal best time of 21.34 (13th) as did Ian Grant (22.36) and Reg Sanlon (24.38). At Ormeau the increasingly speedy Des Fahy had a personal best of 18.52 (12th). At Comber, Alfie Houston (JM10) had a personal best of 34.07. 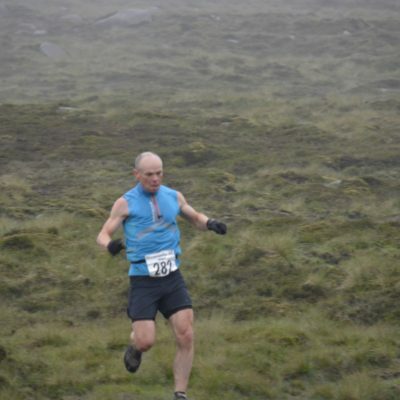 Martin Walker was a first timer at Portrush in 25.57 as was Sile Brennan in 27.50. 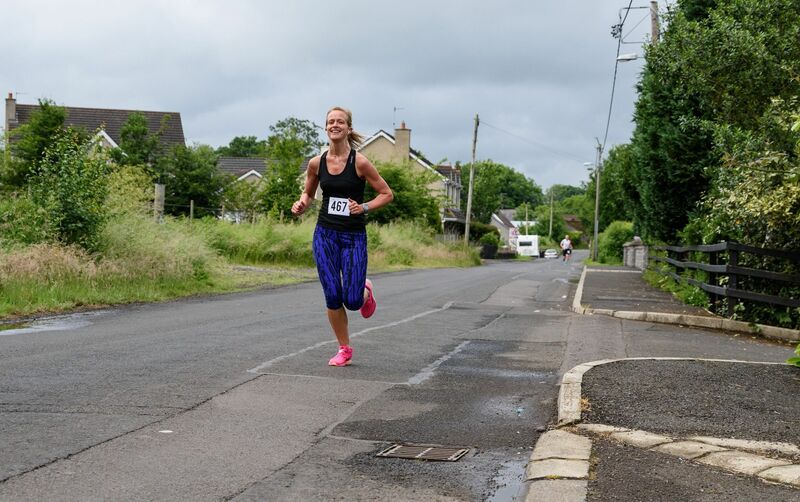 Paul and Lyndsey Tyro, always on the move, were in Letterkenny where Paul finished in second place in 19.51 and Lyndsey was in third place (first lady) in 20.36 which was also a new course record! Paul was still carrying parcels! 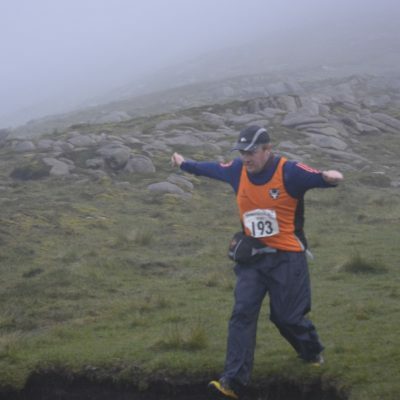 No volunteers, no parkrun! Familiar but very true words. To keep it going from strength to strength your Club needs you for the odd Saturday morning at the business end. 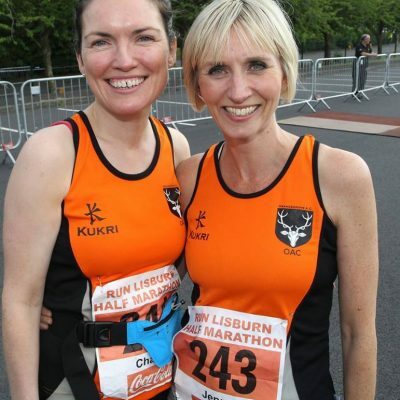 To volunteer, email Gerry Ward at belfastvictoriahelpers@parkrun.com. Do it now!